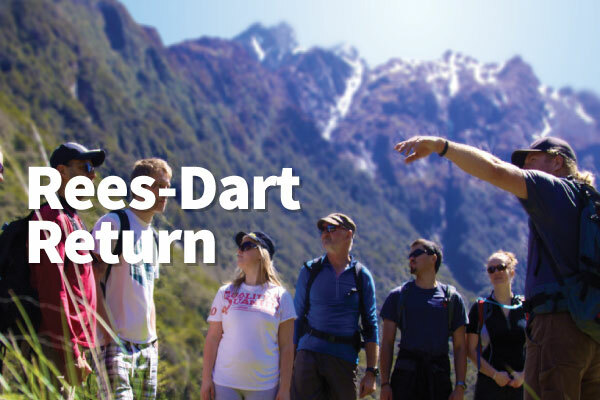 Due to the location of the huts on the Rees and Dart tracks most trampers will walk from Muddy Creek at the South end of the Rees, up to the Dart Hut, and back down the Dart to Chinaman’s Bluff. Whichever direct you plan to walk, Info & Track offer the ideal transport solution with daily bus services operating to both ends of the track. Both services stop briefly in the small township of Glenorchy en route. Transport services to and from Glenorchy are also available.